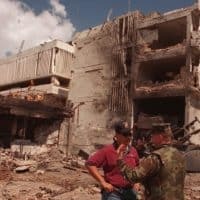 On August 7, 1998, between 10:30 and 10:40 a.m. local time, the U.S. embassies in Nairobi , Kenya and Dar es Salaam, Tanzania were attacked in coordinated truck bombings. 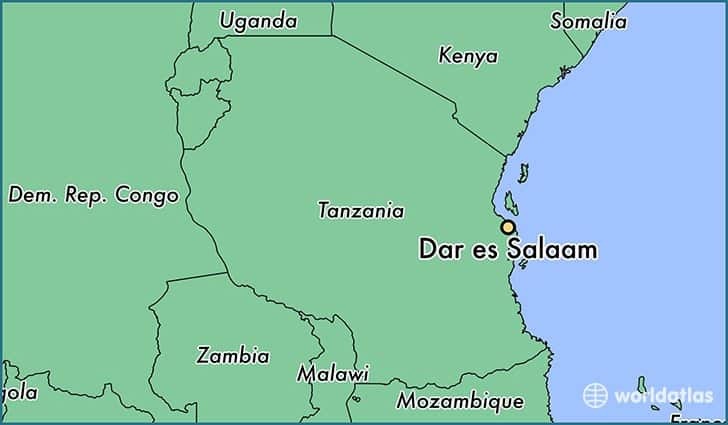 Approximately 212 people were killed and an estimated 4,000 wounded in Nairobi,, while the attack killed 11 individuals and wounded 85 in Dar es Salaam. The bombings were timed to mark the eighth anniversary of the deployment of U.S. troops to Saudi Arabia and were later traced to Saudi exile and al Qaeda leader Osama bin Laden. President Bill Clinton ordered retaliatory military strikes on August 20. In Afghanistan, some 70 American cruise missiles hit three of Osama bin Laden’s training camps. An estimated 24 people were killed, but bin Laden was not present. Thirteen cruise missiles hit a pharmaceutical plant in Sudan where bin Laden allegedly made or distributed chemical weapons. 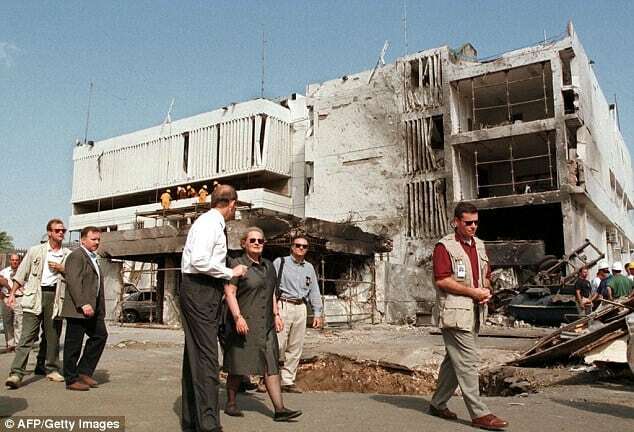 In November 1998, the United States indicted Osama bin Laden and 21 others, charging them with bombing the two U.S. embassies and conspiring to commit other acts of terrorism against Americans abroad. To date, nine of the al Qaeda members named in the indictments have been captured. Vella G. Mbenna served as a ­­­­­Support Communications Officer and recounts her experience during the attack in Dar es Salaam. She was interviewed by Charles Stuart Kennedy beginning in 2016. You can read Ambassador Prudence Bushnell’s account of the Nairobi bombing here. For another perspective, you can read the Accountability Review Board on the bombing of the U.S. Embassies in Nairobi and Dar es Salaam and this account from a then intern and current FSO. Go here to read about other Foreign Service officers who died in the line of duty. As I entered the guard shack area to show my ID, a female Tanzanian guard name Rose had a job application in her hand to give to me because she wanted to apply for the switchboard operator position about to come open. She said she wanted me to help her get the position before I left because she wanted to move up from being a guard. I told her to keep the application until I returned to the car to get the rest of the stuff. She smiled and said “Thank you, Moma”. The FSNs called me “Moma” at the Embassy. It was a term of endearment I was told…. Then, I went to my office and opened up and started my morning IT/communications routine. Shortly afterwards, the young lady who had just arrived a day or two before to replace me came in. I needed to give her a turnover briefing because she was going to work alone until the new chief of communications arrived in about a week or two. I shared a few things with her, but before we got to the heavy and critical turnover known as COMSEC [communications security], she asked if she could in-process with a particular office because the person in charge was leaving for vacation so she heard. So, I was glad for the break because I could run down to get the female guard application, get the remaining stuff out of my car, and if timing was right, meet the man with the check for my car. However, about 20 minutes earlier I had asked the operator to place a call to the Embassy in Pretoria, South Africa….It was taking a while so I figured I had better go on downstairs to my car. The security Selectone [alarm] sound was loud and constant and annoying but music to my ear to keep me on my toes quickly securing things. 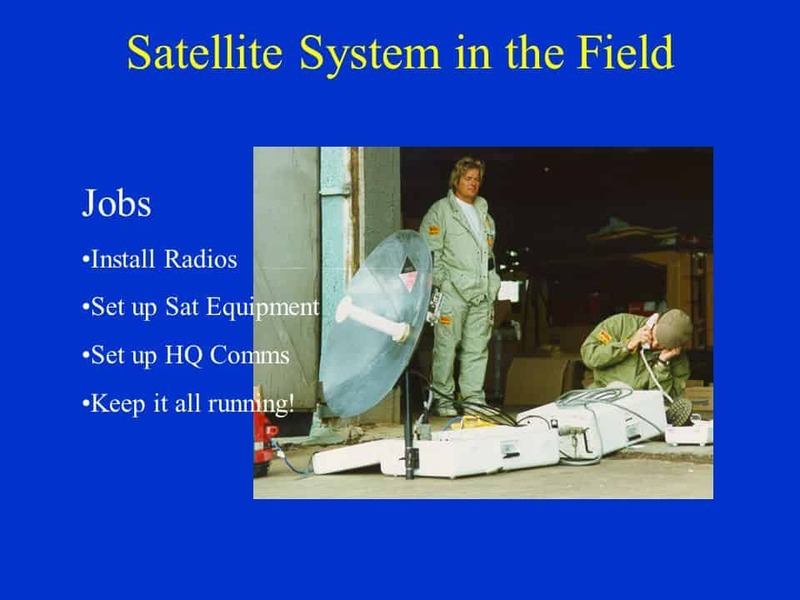 After I was comfortable that my communication center was OK, I got my purse and my INMARSAT [satellite communication system], secured the communications center, and started walking around the corner to get out of the Embassy. When I turned the corner, I saw the devastation that had occurred. Furniture, paintings, parts of the building, window glass, paper, pencils, and much more were in the walkway. I had to carefully work my way through it. When I got to the Executive Suite [where the Ambassador and Deputy Chief of Mission have their offices] door, I looked in and saw no one but I thought I was dreaming. The place was in shambles and the window glasses out. Desks were turned over, couches turned over, office supplies everywhere. I then thought, “Where are they?” After about a minute of just staring to see if there was life in that suite, I proceeded to walk to towards the narrow catwalk that connected the two parts of the building. In the center of the catwalk was the stairs that led downstairs behind Post One [the Marine Security Guard post at the embassy’s main entrance] and out the front of the Embassy. I looked down and saw things and ceiling debris on it. Before I attempted to go down it, I wanted to go to the other side of the door I was facing to see how the other Americans and FSNs were doing. I was afraid and then I realized something else. It was quiet. I did not hear the security Selectone anymore. I had no idea how long it was quiet, but I know I could hear the quiet…It was crazy, but I really could hear the silence. I started carefully climbing until I saw his arm reaching out. I grabbed his hands and he carefully helped me around the mound of rubble. I followed him to a set of emergency stairs to the outside of the building. On the outside is where I found the CDA [chargé d’affaires] John Lange, our security officer, a few Marines, and some other Embassy officials. I quickly ran to the CDA and asked him if he wanted me to set my INMARSAT. He said no, and that I should leave for the safe haven (the DCM’s house not too far from the Embassy). Someone told me that the van was on the outside of the back wall and we walked quickly to the area. The driver of one of our Embassy vans waved for me to come and get in. I grabbed my INMARSAT and ran into the van. There were a few other folks on the bus and everyone looked terrified. I then realized that I needed to find the new lady who came to replace me. No one knew but then I heard this cat-like voice from someone sitting a few rows behind me. I looked at the person and the tip of the nose was ripped almost off. It looked bad. I did not recognize the person so I asked again for the lady who was there to replace me. I heard the cat-like voice again, and again I looked around, and this time the lady waved at me and I heard, “It’s me, Liz.” I had to look closer. It was her and I was relieved. After a minute or so mo re, the driver came in and we drove to the safe haven. After just some minutes there and realizing that folks could not talk on the radio, I figured the repeater on the Embassy roof was down. I ran to find a driver to take me to my house to turn on the backup radio system. I could not find anyone, so I ran onto Toure Drive and tried to wave down a cab, but no one stopped. After about a minute, I was determined to stop a taxi, so when I saw one coming from afar, I jumped in the road and started waving my arms for it to stop. He did. I told him that something bad had happened at the Embassy and that I needed to go home down the street…. When I got home, my house girl Sabina saw me and immediately started wiping the blood from me and pulling my shirt off. She asked what happened and I told her something happened at the embassy but did not know what…. I started hearing talk on the radio and it was music to my ears because I knew the embassy folks could communicate now. Over the next few hours and days and weeks, I did quite a bit to get communications back up and running at an alternate location in town. It was a lot of work and people pitched in to help…. The building was destroyed, so yes, that facility was permanently closed. We set up a temporary safe haven at the DCM’s house for a few days. Then, we took over the Public Affairs Office (PAO) house as a semi-temporary location to work from. I started working closely with the Ops Center and the Information Resource Management Bureau (not called that back then), to secure approval to set up communication with what I had beyond a phone line and fax. 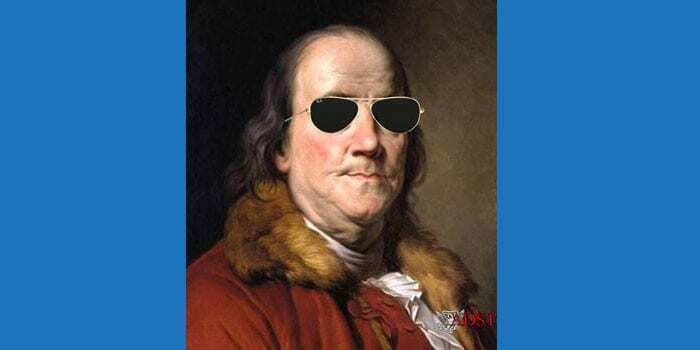 The embassy did not have much to work with, but we were able to communicate…. One thing I admired about leadership that day and as long as I remained there is that Ambassador John Lange really cared about us and stopped to ask if we were OK or had everything we needed or told us to take a rest. He also saw the worth in my expertise and had me tag along to several meetings in case he needed to place a call or receive a call. It made me feel really special that he valued his communications officer. He was a nice and respectful person, even before the attack and he gets in touch with us (those under his regime during that period) every year around that time. Not many were killed in Tanzania — less than ten. Unfortunately, the female Tanzanian guard at the booth who was waiting for me to get her application was one of those killed that day. It horrifies me to think that if I had not received that phone call and returned to my office, I could have been right next to her or my car, which coincidentally was destroyed beyond normal recognition, and more than likely killed too. I thank God for that phone call and sparing my life.